I'm building up my high end makeup collection ever so slowly and trying to be more conscious of acquiring wearable shades that I can actually use on a daily basis. 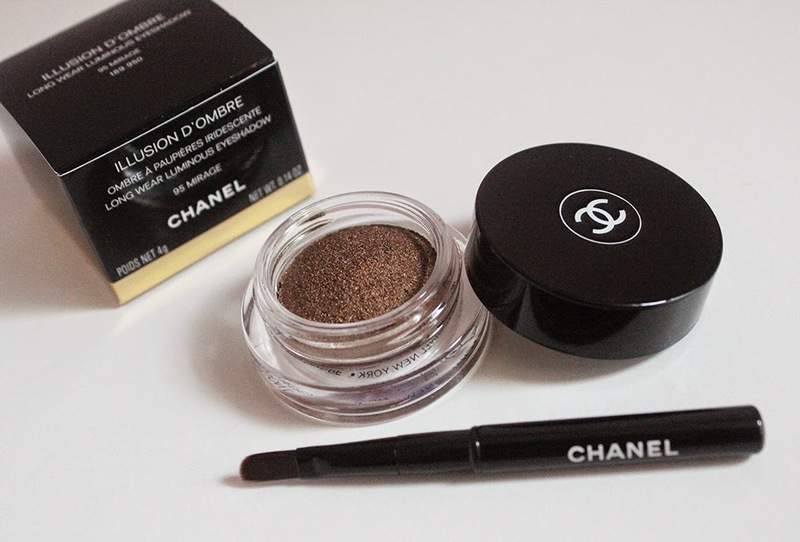 I was intrigued by the Chanel Illusion D'Ombres since they've been released but only recently allowed myself to purchase one after purging a handful of cream shadows I wasn't using in my stash. I chose the shade Mirage, a deep bronze shade that I can wear everyday for work. Mirage looks darker in the heavy plastic or glass (I can't tell) container than it does on the skin. To describe this as a cream shadow would be only partially correct. This is a cream unlike any shadow I've felt before. It is ultra smooth and lightweight, almost like a dense mousse. I like to apply this product with my fingers and it blends out beautifully on the eyelids with minimal effort. You get a soft wash of color with a very subtle, elegant shimmer. No glitter particles in sight! For $36 for a 4 gram container, I would expect no less. Even though the jar is quite big compared to my other cream shadows, you get the same amount of product as you would in the Maybelline Color Tattoos. Although this is described as a long wearing eyeshadow, I don't find this lasting on my eyelids for more than eight hours and there is noticeable fading throughout the day. 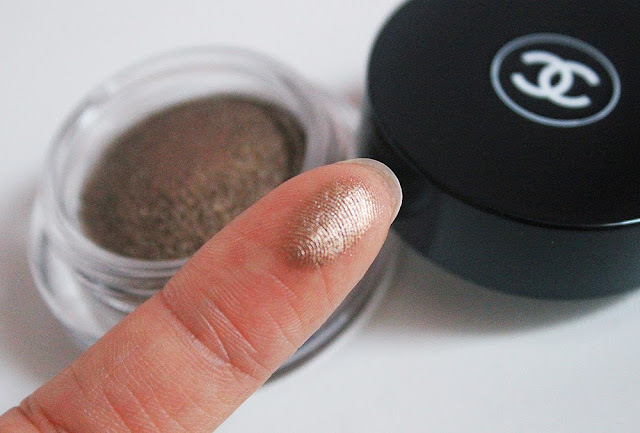 This is a disappointment since I usually opt for cream shadows when I want to be out the door in a hurry and I don't want to have to put on a separate eyeshadow base. I pulled a bunch of warm toned cream eyeshadows from my stash to do some comparisons. Even though Mirage looks like a standard, run of the mill brown shade, I actually don't have an exact dupe of it in cream form. Chanel describes the finish as luminous which I think is pretty spot on. It's shimmery but not overly so and definitely not metallic. It looks very sophisticated and appropriate for all occasions. I've been wearing this cream eyeshadow a lot as a one-and-done eye look with eyeliner and mascara and I like it. The color is beautiful and the texture is very enjoyable to apply. The only gripe I have is with the poor staying power which is unfortunately a deal breaker. For that reason, I will not indulge in more of these Illusion D'Ombres and stick to my more long lasting cream shadows. Have you tried the Chanel Illusion D'Ombres? 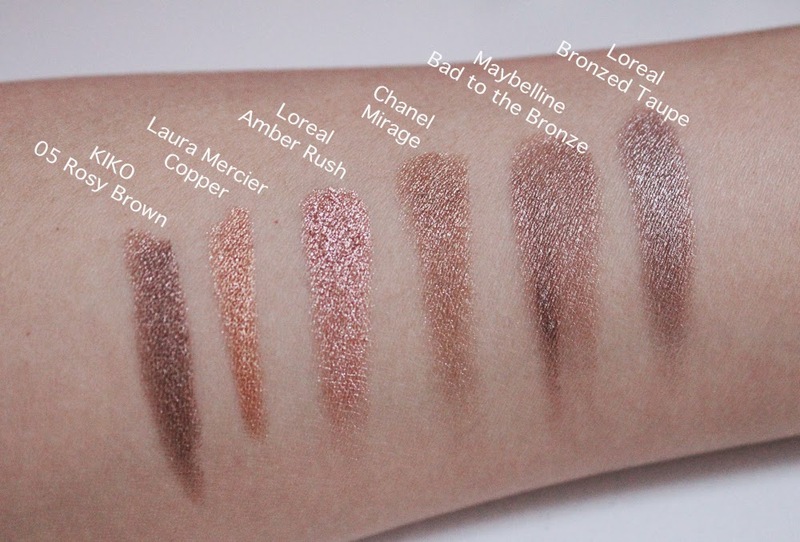 What's your favorite cream eyeshadow?